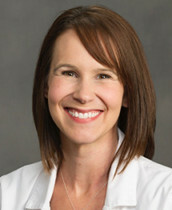 Megan Long is a board-certified family nurse practitioner. A Wisconsin native, she holds a degree in psychology and exercise science from Milligan College and has completed a Bachelor of Science in Nursing and Master of Science in Nursing with certification as a family nurse practitioner from East Tennessee State University. Her background includes working on an adult special-care unit in a local hospital, several years as a hospice nurse and nine years working as a registered nurse with Blue Ridge Family Medicine. A member of the American Association of Nurse Practitioners, Long is particularly interested in the fields of women’s health, pediatrics and hospice/palliative care. Married and the mother of two boys, she enjoys hiking, swimming, traveling, reading and spending time with family and friends.